Dubai: First season handler Sandeep Jadhav is setting his sights on winning bigger prizes with Rio Tigre after the ex-Godolphin horse delivered another impressive performance at Jebel Ali Racecourse when winning the featured Shadwell handicap on Friday. A former Listed race winner in France with trained by the legendary Andre Fabre, Rio Tigre showed his liking for the testing, uphill track, when comfortably upstaging a classy field in the 1,800 metre contest. With regular rider Royston Ffrench in the irons, the seven-year-old son of Teofilo looked to have plenty of ability when ridden out to win by 1 1/4length from Sharpalo, the mount of Connor Beasley. Favourite Debbash ran on well in the closing stages under Pat Dobbs but had to settle for third place. “We really like this horse,” said Jadhav, who trains out of the Fazza Racing Stable of Shaikh Hamdan Bin Mohammad Bin Rashid Al Maktoum, Crown Prince of Dubai. “He’s got a lot of class and ability and clearly likes the track at Jebel Ali. He’s won two on the bounce here beating some good horses, so we have got to be hopeful that he step up to pattern-race company. “We’ll see how he comes out of this one and then make a plan, but yes, we will perhaps look at the two big races here,” he added. Ffrench, who has made a remarkable comeback from injury earlier this year, was full of praise for the Fazza Stables team. “My job is easy, I just go out and ride the horse,” he said. “When they are in such great shape it makes it very easy. The afternoon’s co-feature, the Shadwell Farm handicap, was won in impressive fashion by Rocket Power, ridden by Connor Beasley for Al Asafa Stables boss Ahmad Bin Harmash. Beasley and Bin Harmash would return to the winner’s enclosure 30 minutes later after landing the concluding Al Rammal Engineering maiden at the 12th time of asking. 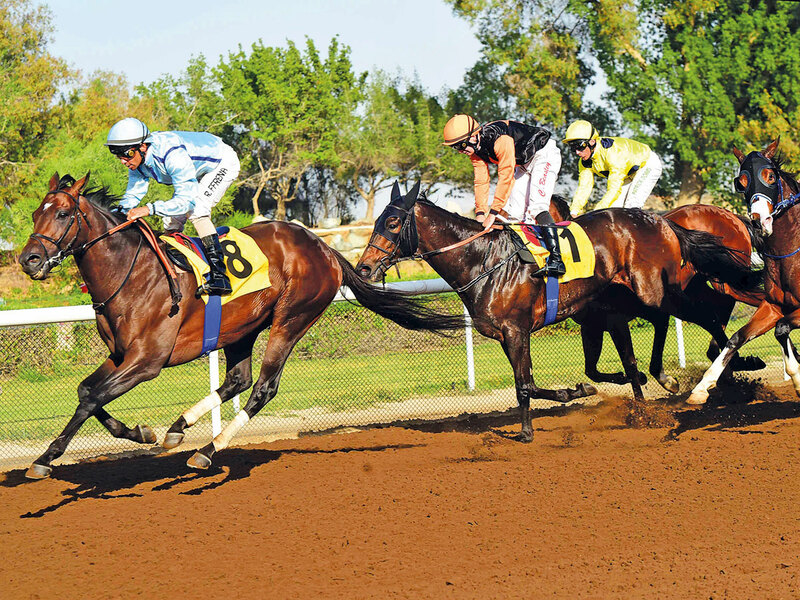 With Jebel Ali Racecourse staging seven races per meeting, the action commenced earlier than normal with the Commercial Bank of Dubai maiden which was won by Beachcomber under champion jockey Tadhg O’Shea. The winner was providing Zabeel Stables boss Satish Seemar with his 10th winner of the season taking him to second place on the trainer’s table behind Al Asayl’s Eric Lemartinel.